Over the weekend Castle Lite Unlocked J.Cole by bringing him through for one lit concert, which was probably the most highly anticipated event on Joburg’s social calendar and if you weren’t there then where were you? 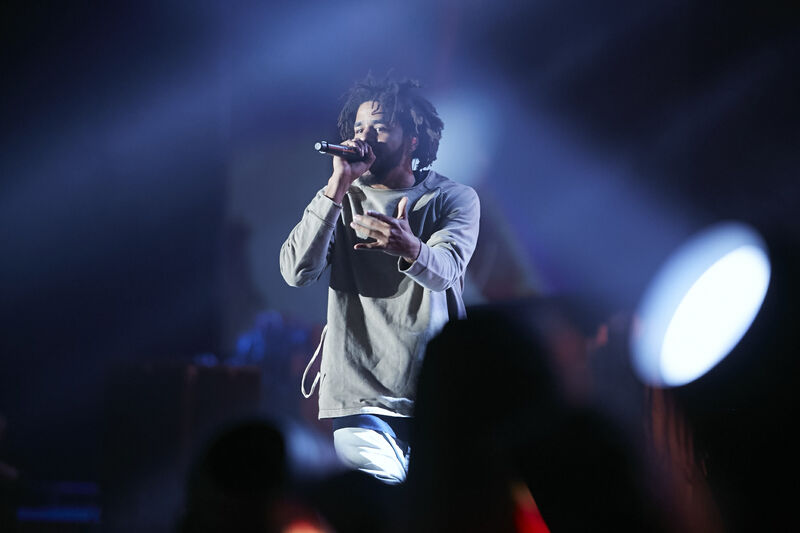 During the show Cole brought his classic hit Dreams to life on Saturday night at the Ticketpro Dome as he captivated more than 20 000 of his fans for one night only. Having performed classic hits such as ‘Love Yourz’, ‘Can’t Get Enough’ & a whole lot more, the hip hop sensation wowed concert goers that had been waiting for him since the big announcement of his coming in March. Castle Lite actually filled-up the entire Dome (unsurprisingly), as many came from all over South Africa to be part of this once in a lifetime event. J.Cole had fans in frenzy after showcasing his gift for poetic lyrics and beats. Castle Lite also assembled a hot line up of local hip hop stars that thrilled fans, as the likes of Emtee, Nasty C, Reason, Kwesta, DJ Vigi, DJ Speedsta and appearances from Riky, Shane Eagle, Cassper Nyovest, Proverb & more did the most.